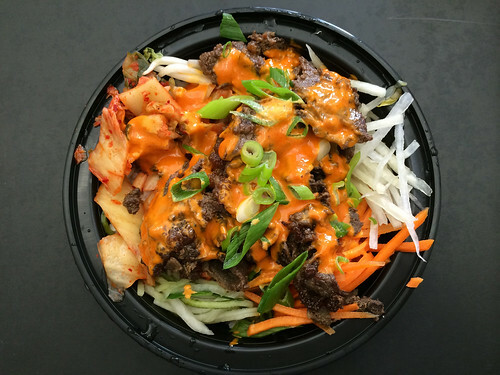 In brief: I got the beef bulgogi bibimbap, which was perfectly fine but I should have listened to my instinctual craving for chicken wings. I'll say it's because it was late and I had been cranking away on all morning so when I finally looked up, it was already 2pm and I was hungry. It was actually the rice that ruined this dish for me. It just wasn't correctly cooked and I could taste that in every bite.